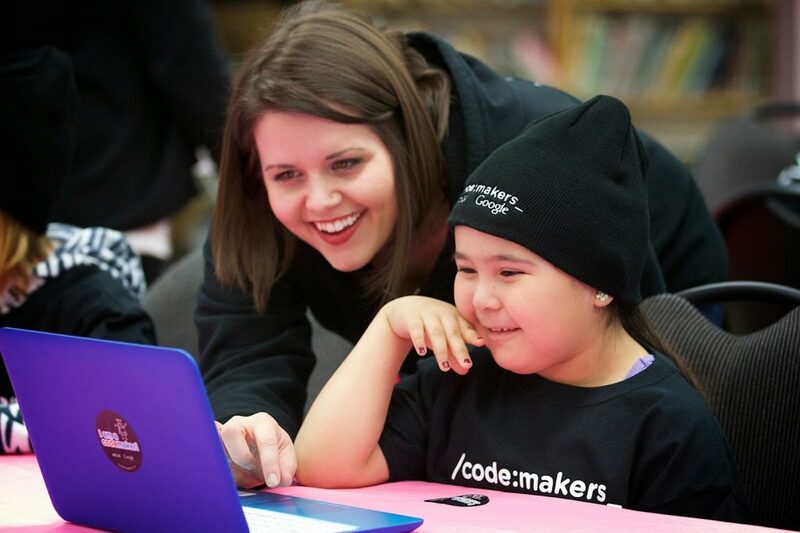 Developed by Google engineers and Actua experts and aimed to engage Aboriginal youth into the area of computer science, this code Making program called “Codemakers” provided an opportunity for students to code and remixing their voices. This opportunity by Google is able to provide Aboriginal students something that’s new and cutting edge tech but still rooted in their culture. For many young students participating in this program, throat singing is how they have learned to pass on the traditions of their past. Being able to mix and digitize the stories they shared in song allows them to connect culture with technology. A breakoff of this project has students “throat boxing” using recording software on mobile devices and computers. A CBC article further explains how Aboriginal students can still embrace their culture but stay connected at the same time.